It is a complete periodical table having blended loan payment options, along with principal and interest amount. The calculator in spreadsheets comes with breakdown in month wise. You can calculate the amortization of different months along with principal and interest and total interest loan balance. The Mortgage Amortization Calculator helps the user for loans whose payoff date is known at the time of loan, such mortgage or car loan. You can get amortization schedule calculator online in spreadsheets format and excel format having proper arrangement to fill the box and inputs accordingly. It makes the calculation much easier and faster. It has mainly eight different segments where user can separately calculate amortization of different months along with monthly loan payment options and total interest paid over the life of the loan. 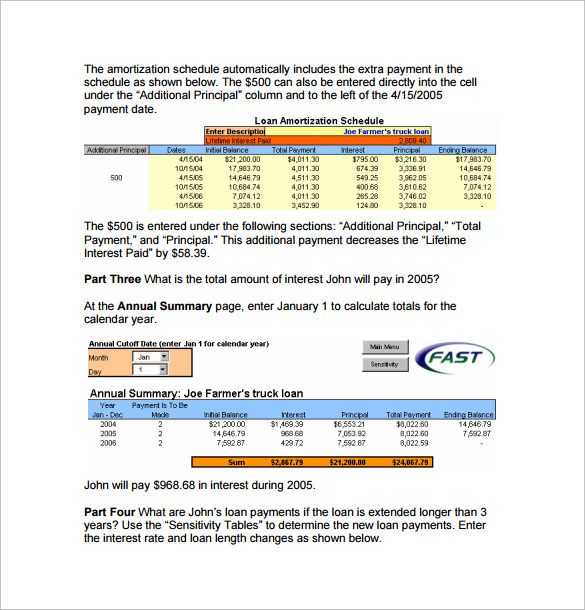 A yearly calculation chart is designed with various segments including year, loan balance, yearly interest paid, and yearly principal paid and total amount of interest. At the end of every table there is a specific section of the summary of the table which includes loan amount, terms of loan and interest rate that can be highlighted separately. This template is a detailed version of the previous one where user can take a quick view of concept like, what is the reason for creating amortization, what are the problems user generally face for creating this and what are the expected guidelines for solutions. It is unique as it helps user to calculate the required data from a very grass route level and helps in processing the sheet in the easiest way. Four effective steps with their short examples are available with this table so that user can make their own data perfect. 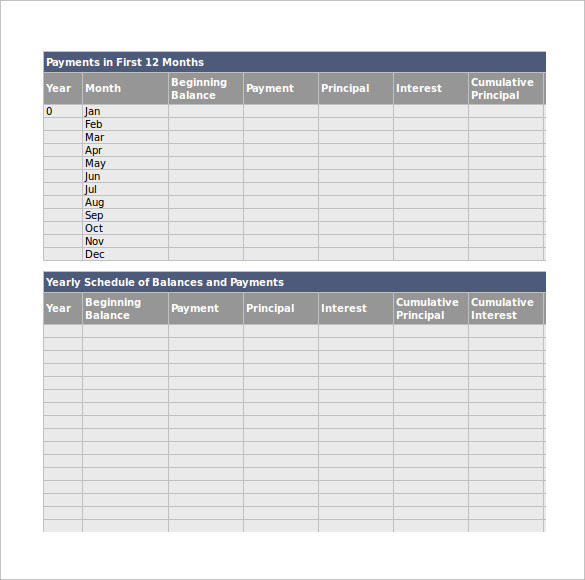 Constant Amortization Schedule Template is available in popular table type design which delivers a professional look for the viewer. It is available in wide range of sky blue and black color combinations. There are seven segments where seven different years with their seven data are enlisted. As we all know, Amortization Calculator helps the user for loans whose payoff date is known at the time of loan, such mortgage or car loan. It also helps the user to compare the amounts between two years as well. 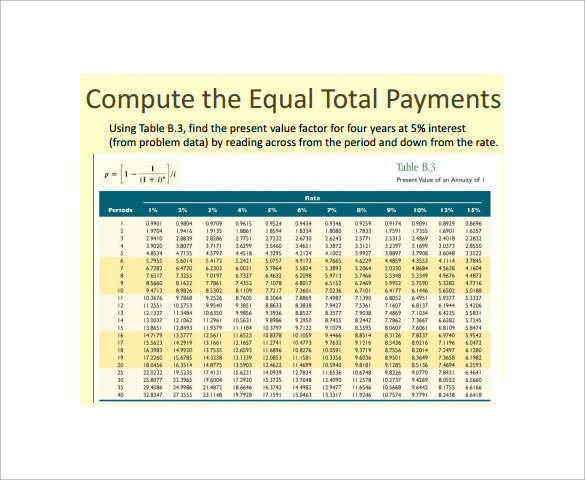 This is a semi automatic template which is particularly designed for calculating loan repayment schedules; determine how different interest rates and amortization lengths affect the case flow. All over it is designed to deliver a total idea for all about loan amortization. 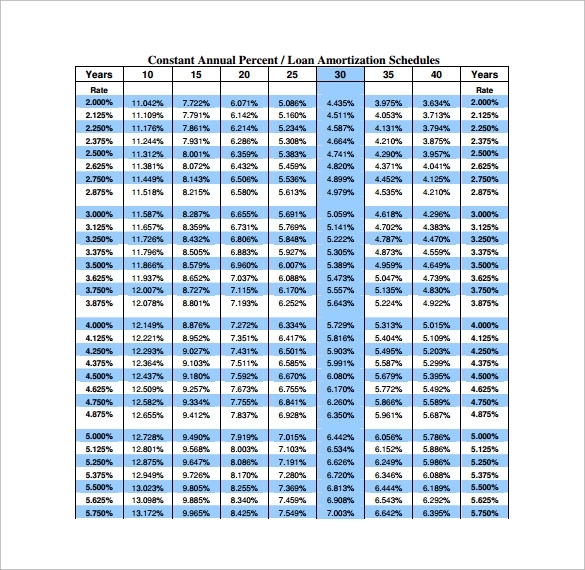 Amortization schedule, annual summary and sensitivity tables are three main parts based on which these are calculated. This is very detailed template where you can put every fraction of details and able to calculate what is the actual result. A useful menu button is given at the end of the template from where anybody can control the whole calculation. This is available in PDF format so that user can attach this and send it across mail to the concerned person or organizations. 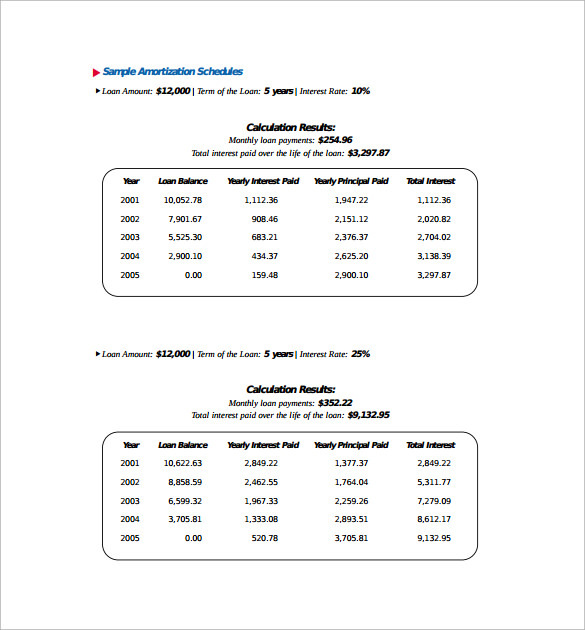 Why Do We Need Amortization Schedule Calculator Template? 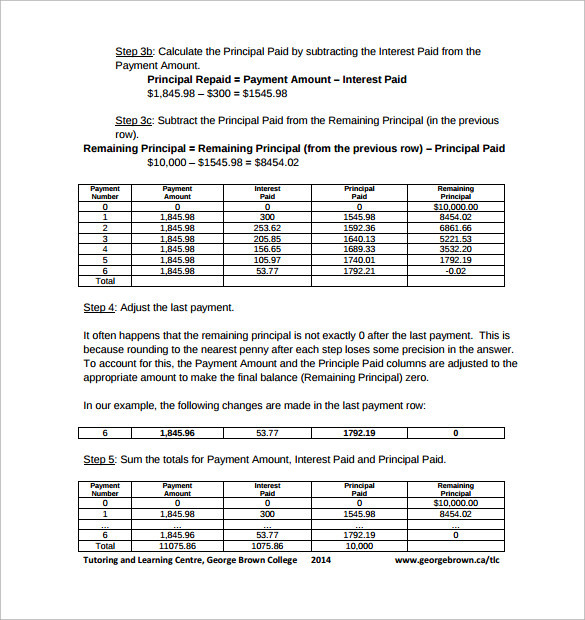 It is very helpful for calculating the amortization of different months with principal amount and interest and with it total interest loan balance. It also helps user to decide the calculation of loan whose payoff date is known at that time when they are eligible for loan. 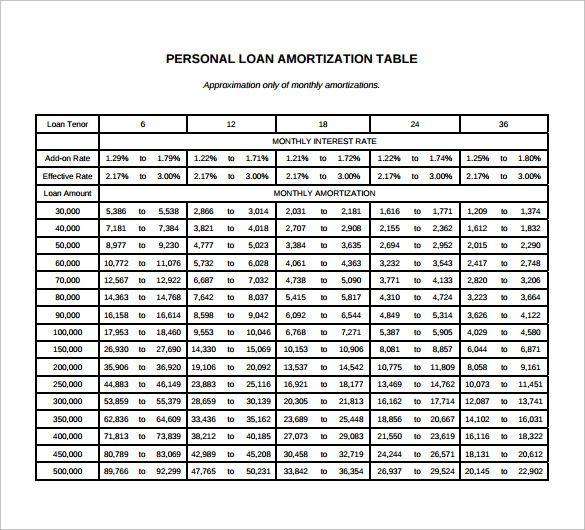 You may Like Loan Amortization Calculators. 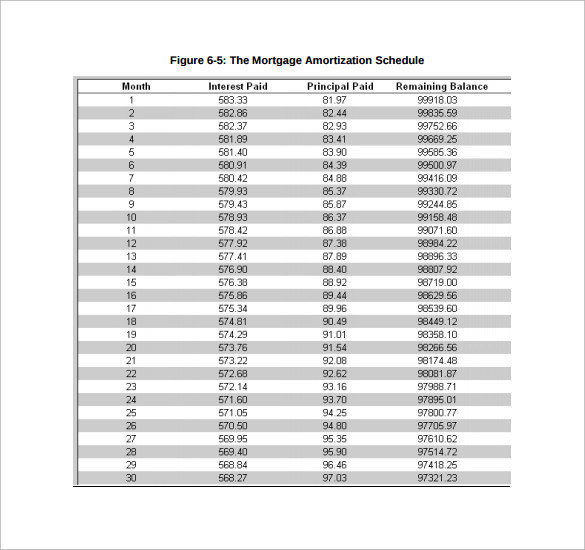 When Do We Need Amortization Schedule Calculator Template? It is very helpful for calculating complicated loan amount in a simple way and makes them ideal for use in various professional as well as personal sphere uses. You can also see Mortgage Amortization Calculators. 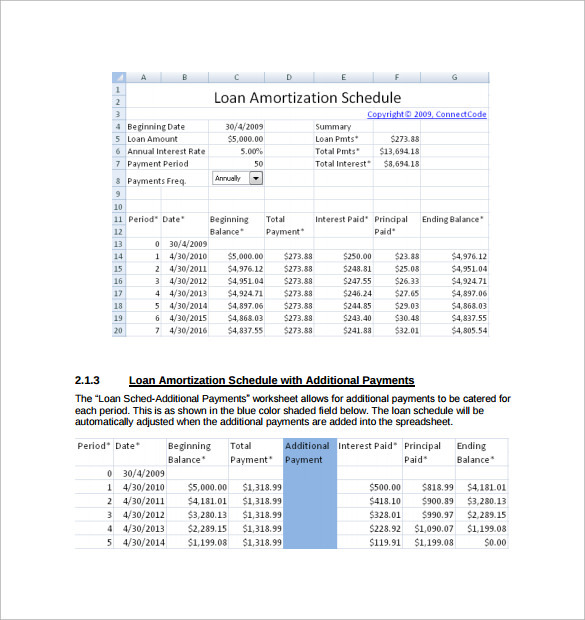 Tips To Create Amortization Schedule Calculator Template? A calculator template is one for which you can easily calculate the diversified loan amount. If you have only raw data, no worry, you can make a useful presentation by selecting any pre-defined template. All of these documents are available in word as well as PDF format. They are all print ready and customizable. You can edit every element of this and there is plenty of scope so that you can customize them for serving your own purpose.